Each has detachable wings and is modelled with its head turned to one side. 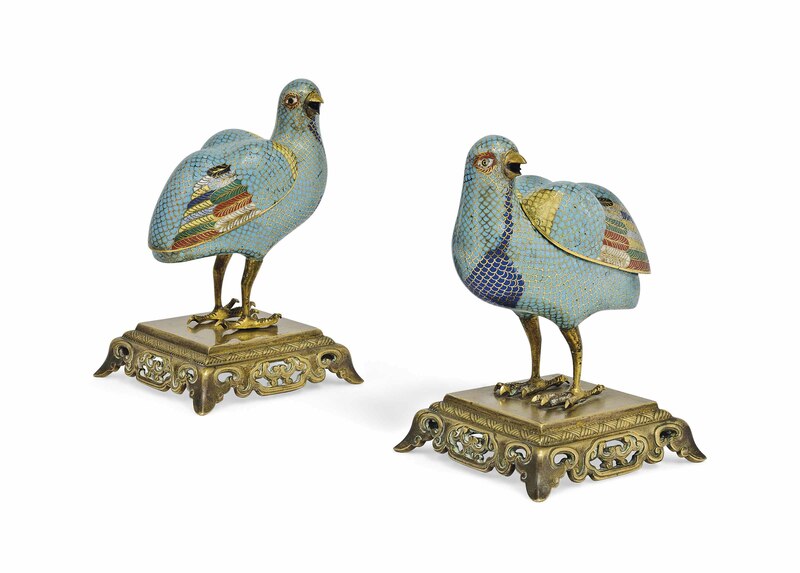 The birds are decorated in colourful enamels on a turquoise blue ground. Mounted on later gilt stands.